“For students who come to school with trauma, have dysfunctional families, and are lacking connection, they are transformed in this type of learning. They develop curiosity. They learn to problem solve, rely on their own skills, develop critical thinking and have confidence in their abilities. They feel valued and are empowered to make a difference in their own community." Meg teaches a unit on honey bees and their ecological importance. Her class raised over $500 for the Honey Bee Conservancy this year. This fall they will be applying for the “Adopt a Hive” program that would bring honey bees to the schoolyard. The 4th grade class also does a unit on Food Equity that gets kids thinking about inequities, fosters honest dialogue about socio-economic similarities and differences, and inspires kids to think how people can come together to support each other. The 6th graders do a program called Inspiring Kids. Through this program, they learn about non-profits and the needs they meet in our community. They research local non-profits, meet with their directors and determine the organization they want to support. The students present 3 non-profits to the school and then the whole school votes on the organization they wish to support. They then do a community day where the entire school participates in creating something to help each non-profit. They have baked bread for the food shelf, made trail mix for people staying at David’s house, created dental kits for patients at the Better Health Clinic and made baby blankets for Good Beginnings just to name a few. They then present the community fund donated by Inspiring Kids to the chosen organization. “It is an incredible way for students to understand the community, its needs and the non-profits they help meet those needs,” Janis says. 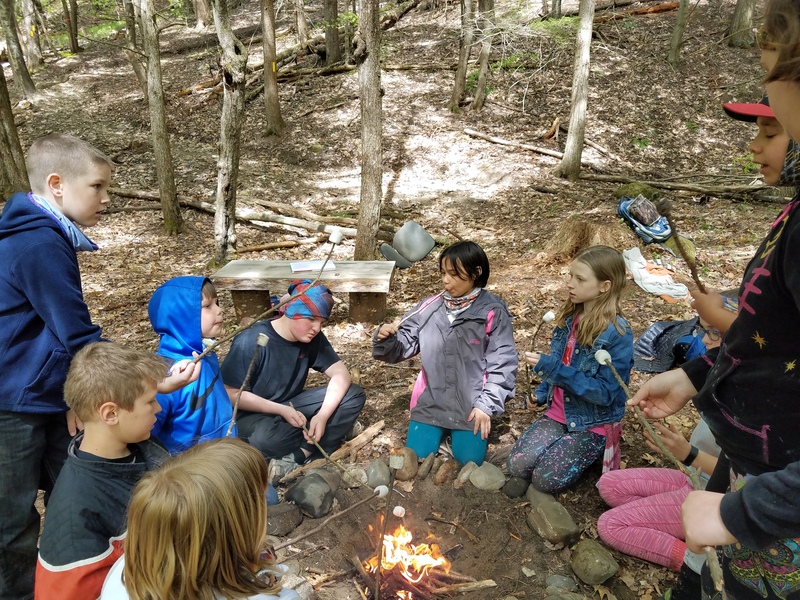 For the past 10 years, Janis has have done a year-long river curriculum she developed through Four Wind’s Upper Valley Linkages for Environmental Literacy program (UVLEL). They work closely with the White River Partnership and participate in citizen science. In the fall they study crayfish and learn about native and invasive species. In the winter, they get trout eggs and raise them until May when they set them free in the White River. They learn about the trout life cycle and why they are important indicators of river health. They also do “track and sign” and learn about the animals in winter that utilize the river. In the spring they learn about the White River Watershed, the energy transfer in the ecosystem, the potential pollutants that can affect the river and macroinvertebrates. They conduct a bioassessment to determine the health of the river based on its biodiversity and abundance of sensitive, somewhat sensitive and tolerant species. As a culminating event, 6th-grade students lead the entire school in learning stations about the river on our Annual River Day at Paines Beach in South Royalton. For our school, it has created a supportive and collaborative staff. For our community, it has developed students who want to stay connected and have a voice in the place they live. “I’m inspired every day by my colleagues, and I’m so proud to be a part of Sharon Elementary School,” says Meg.